Coffee’s Farmworker Problem: A Coming Crisis? There are some companies in coffee that are pretty good at identifying and seizing opportunities in the marketplace. The dizzying pace of innovation and the occasional introduction of disruptive technologies over the past 10 years can attest to that. And lots of companies are effectively identifying and heading off challenges in their own supply chains. But we haven’t always been as good at identifying collective threats before it is too late. The coffee leaf rust crisis in Central America during the 2012-13 crop year is a recent and painful example. There were people calling attention to coffee leaf rust before the epidemic hit Mesoamerica, but we failed to recognize the magnitude of the threat. Peter Baker, the coffee and climate scientist, reminded the First Coffee Rust Summit in Guatemala City in 2013 that there were warnings as early as 2010. There is, of course, no guarantee we would have been able to effectively mitigate the threat posed by coffee leaf rust even if we had done a better job of what the literature on horizon-scanning calls “amplifying weak signals.” But our collective failure to amplify this weak signal meant we were blindsided by something we could have seen coming. 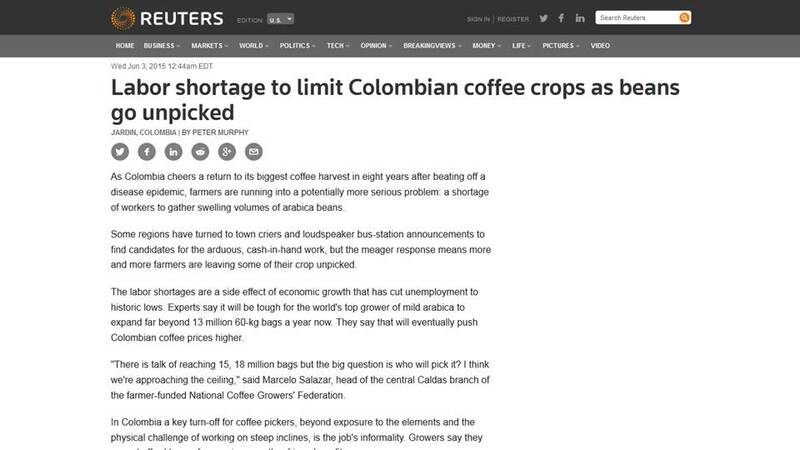 Reuters news service published this story earlier this month about labor shortages in the coffeelands in Colombia. It is one of the few news stories that have been published on the topic in English, but that doesn’t make it a new story. Securing labor for the coffee harvest in Colombia has been a perennial challenge in recent years–one that has been more difficult as Colombia’s production gone from just over 7 million bags per year to nearly 13 million. There is more coffee than ever in Colombia, and not enough workers to harvest it. Interesting. Big fan of your work. What do you recomendin as readings on horizon-scanning and scenario planning? Hey, Peaton, thanks for your comment. The seminal book in the field (as I was told by the experts I asked) is The Art of the Long View by Peter Schwartz. It is almost 25 years old now but I found it to be an exceptionally good introduction to the related topics of horizon scanning and scenario planning, proving an exceptional orientation to the concepts and putting them in historical context with plenty of real-life examples of how these roles can and have been done well. Forum for the Future has published lots of good resources on horizon-scanning and futures thinking, but it is hardly the only one. Andy Hines is a leader in the field of futurism and foresight. He does corporate and organizational work and leads a graduate program in foresight at the University of Houston, whose Futures program has been around for 40 years. His blog Hinesight is insightful and a way to keep current about what is happening in the field. I agree this is a problem – in fact despite good production levels now, I think Colombian coffee is generally in bad shape. It has some of the highest production costs in the world and labour competition must be a major problem – there seems to be a massive construction boom going on. Colombian coffee has responded well to the 2008-2012 crisis, but it cost the government hundreds of millions of dollars and they’ve made it clear that they don’t want a repeat of it. For about 20 years Cenicafe has worked on ways to make harvest labour more efficient, but seemingly the various devices developed have had at most a small effect. Phenology is against them too – many flowerings mean that, unlike Brazil, quick stripping of branches is not possible. Although rust is now under control, broca in El Nino conditions will cause extra problems and trees replanted 3 -4 years ago will now present greater control problems. Now prices have dived too and I think the grace period for replanting loans is over, so repayment costs are rising? Apart from farms that can command a high quality premium most farmers must be facing losses this year, no wonder they are on the march again. And now FNC is waiting for a new leader (who could want the job?) 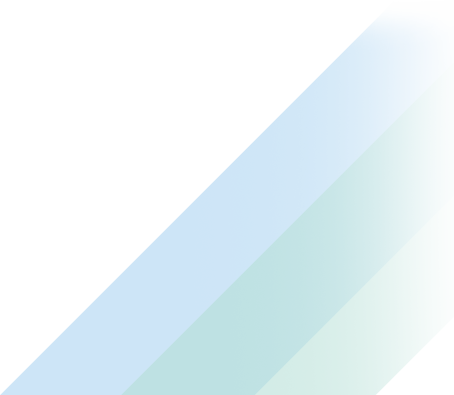 and major changes to their structure are coming… I hope I’m being unduly gloomy, please tell me I’m wrong!